DUG Insight User ManualFrequently Asked QuestionsFrequently Asked Questions Volumes and DataHow do I colour a volume differently between horizons? 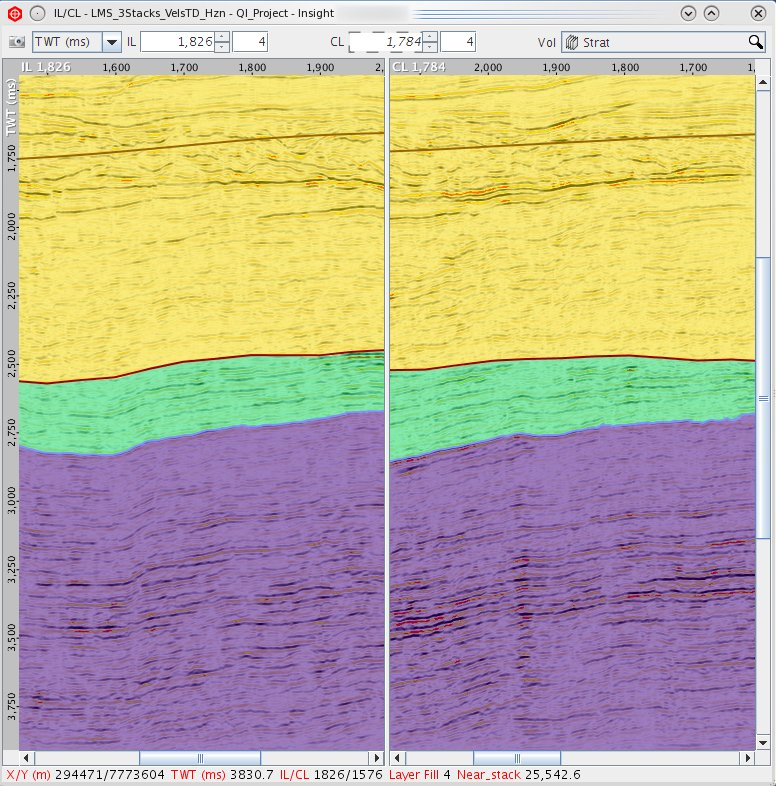 This workflow allows for flexibility in colouring the different stratigraphy in your volume. Create a Volume Maths process. In this example, we name it "Layer Fill". Add each of the horizons to define the layers. It will be easier if the horizons are correctly sequenced. Finally, choose a nice colourbar and set the range from 0 or 1 to your maximum value. If you would like to overlay the results, create a group containing the "Layer Fill" virtual volume, put that layer at the top of the group, and adjust its transparency in the class settings. Prev: How do I crop a seismic volume using a polygon? 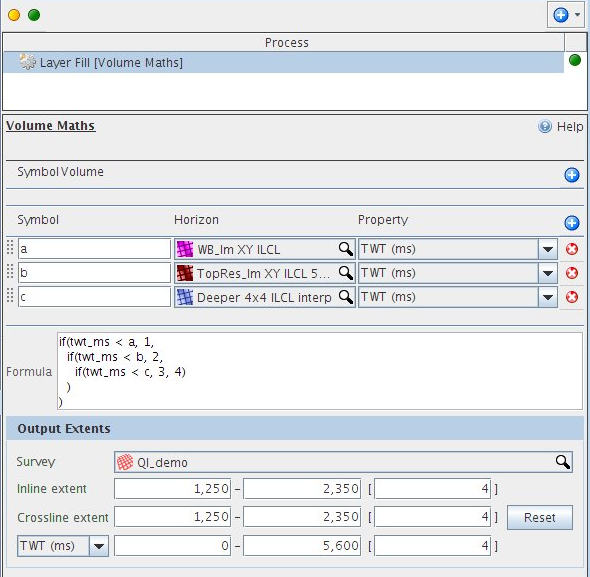 Next: Why does the result of my Volume Combine process look different to my group of the same volumes?